Fashion and summer. Of course you want to look stylish during the season of fun. Whether you're spending your summer vacation in your home country or especially if you're traveling to your dream destination you may need to give your wardrobe an upgrade. One item of clothing you definitely need is a summer dress. There are many, many, summer dress options to choose from including mini, midi and maxi. 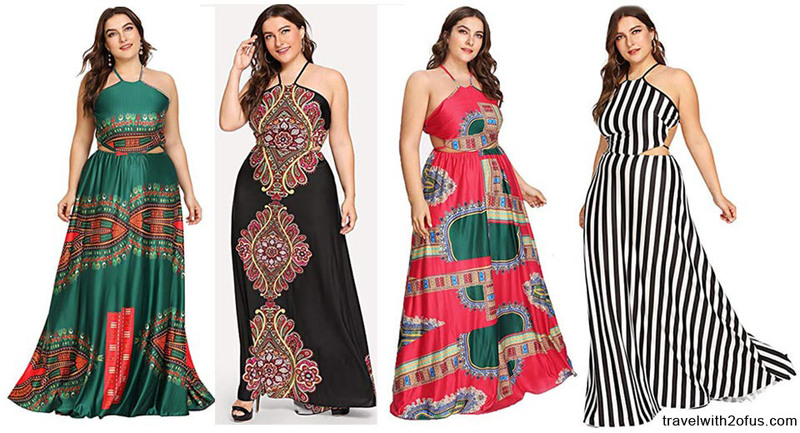 Today we feature several summer dresses especially for plus size women on the go during the summer. Check out our selection and maybe you will find a summer dress that suits your fashion style. 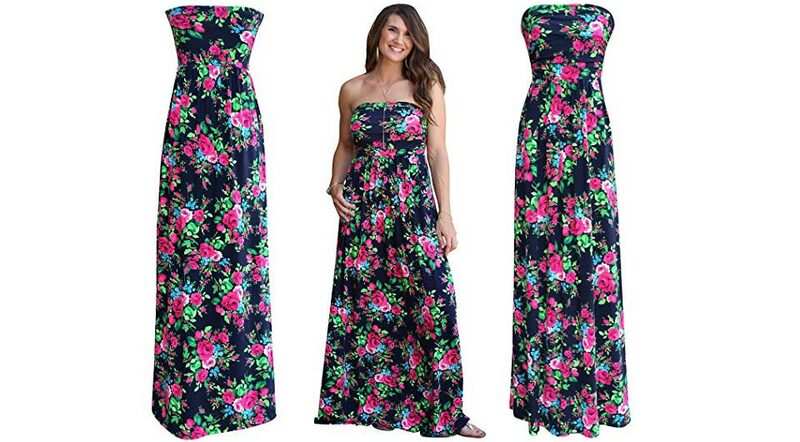 This floral printed dress features side pockets, a strapless elasticized neckline and an empire waist. It comes in navy floral and is made with polyester and spandex. This definitely looks like a summer dress. Don't you think so ladies? You can relax at the pool bar or use it if you're heading to a casual dinner or even if you're going out to an evening beach party. 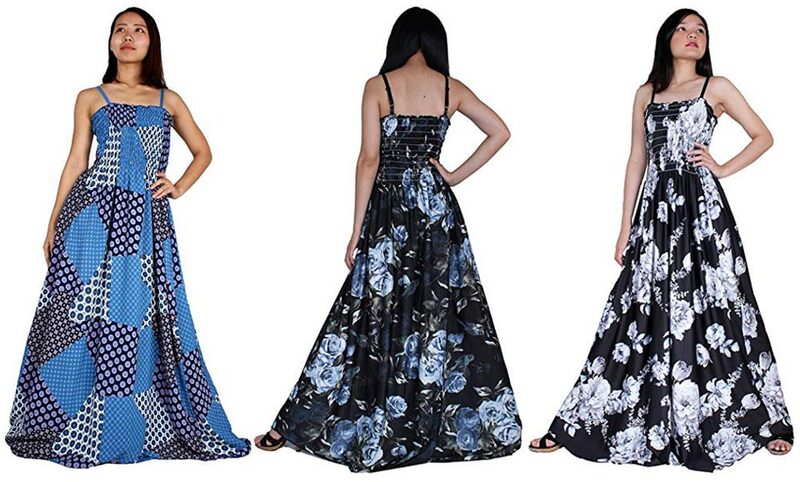 One of the features that make this dress stand out is its beautiful floral prints, but do you know that each floral print is unique as they will appear in different positions. That's cool, don't you think? The dress is about approximately 58 inches in length and can be used for summer, beach and wedding or as an evening gown. 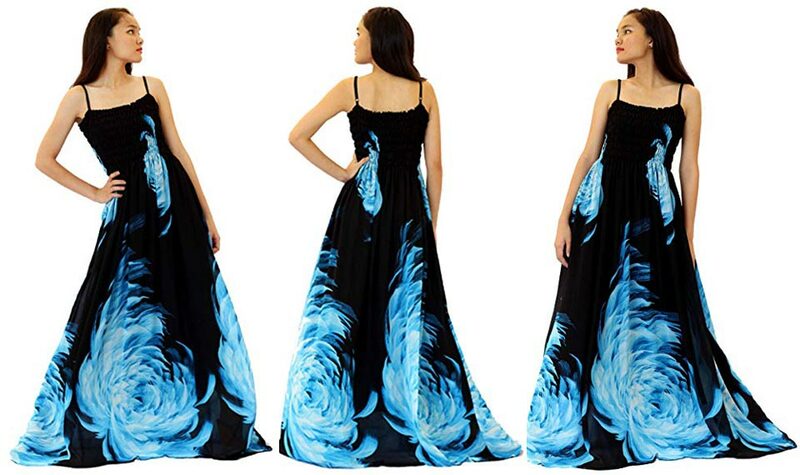 This plus size summer dress comes in several different colors and patterns including blue, black white floral and black rose. It is available in sizes up to 4x-long 57 inches. Made from jersey material the dress has adjustable straps as well. Great for an evening out, this plus size dress features side zipper closure, surplice neckline and comes in 3/4 sleeves and high waist with curve-cinching band as well. It is available in two different colors, which are beige pink and champagne black. The bodice of the plus size dress is made from polyester and spandex. This is beautiful. There are many beautiful bohemian prints available. You can get it in one of several colors including black, black and white stripes, green, red and multi-color. The dress is sleeveless, backless, has spaghetti straps and a tie back.